Penthouse level 3BR/2BA with a 600sqft terrace off the living room that provides the perfect spot to sit, relax, and take in the spectacular city views from every angle. This condo offers floor to ceiling windows in the living room, dining room, and kitchen to admire the unbelievable panoramic views of the beautiful city. This corner unit features hardwood flooring throughout. Each of the bedrooms has its own individual character. The master bedroom features a walk-in-robe and generous ensuite complete with dual sinks, standalone tub, and shower designed for pampering. The building features a fitness center, party room, 24 hr door staff. Close to the sights and delights of city living. 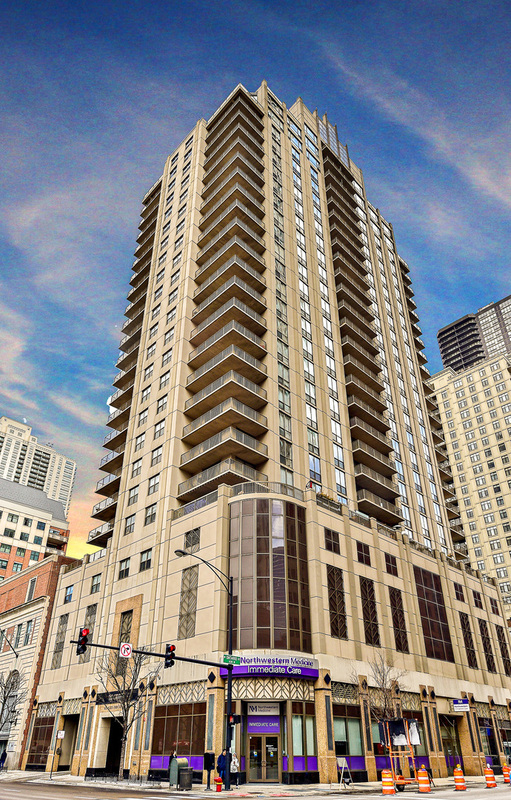 Leave behind the battle of commuter traffic and embrace city living in River North. Coffee Shop 0.04 mile - River North-Erie & Dearnborn Starbucks @ 30 W. Erie St.
Property information last modified by seller on Saturday, June 23, 2018, 12:24 PM CDT. Information Deemed Reliable But Not Guaranteed. Unauthorized duplication, use, or linkage is prohibited. The information on this web site is for personal, non-commercial use and may not be used for any purpose other than to identify prospective properties consumers may be interested in purchasing. Monthly Payment Calculator results are for illustrative purposes only, not a financing opportunity; calculations assume a 30-year fixed-rate mortgage and do not include closing and other costs. Property Tax on NEW properties is estimated at 1.5% of Listing Price for payment calculation purposes; actual value may be higher or lower.